Welcome to my first blog. You can call me Hope. I am a daughter, sister, wife, mother and a Lupus warrior for a few years. I look forward to sharing with you my journey of rediscovering myself. January is here! Time to roll up the sleeves and start working on new things! This year, I want to rediscover myself while prioritizing my well-being and learning how to adapt to a new lifestyle. Lupus often reminds me that I have limited control over my health, and that I need to take better care of myself, so I can feel strong. With multiple flares last year, I had to stop doing things I used to, and adjust my routine to adapt to these changes. I replaced my overwhelming corporate job with frequent daily naps, doctor appointments, and lots of learning to better understand what’s going on with my body. Is it really possible for an old dog to learn new tricks? Who do I want to be one year from now? What are my strengths, and how can I repurpose them in my new life style? 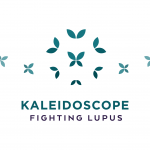 Having Lupus has forced me to look for new opportunities and to build a new identity. That is hard, to say the least. Psychologists say when we write our goals, and visualize how to achieve them, it increases our chances of success. So, with that in mind, I decided to put down my new objectives, and hold myself accountable for working on them. I have learned that this is much easier said than done. I have always been pretty assertive and able to ask tough questions, but asking them of myself was a painful process. As I had felt stuck for weeks, going in circles, I decided to step back and start with some basic, simple questions. Each one of them help me to define different goals. What could give me a sense of purpose from now on, and how can I focus on that? Figure out what I enjoy doing. Find more opportunities to do things that make me happy, but are also ‘good’ for me. Reset my expectations, and work on new, and realistic goals. What type of person do I want to be in 2019, and how can I get there? Take more ownership of my health, paying attention to what I feel, and the reason why I feel that way. See the current limitations as opportunities to grow myself. Love myself and treasure life. How can I leverage my strengths and talents to build a new life style? Through these past years, I have built many skills in my professional life. Where can I apply them now? How have I overcome challenges in the past? Can I do it again? What resources are available for me that can help? Then, put them into practice. In a nutshell, I want to take good care of myself. I want to feel good about who I am, having no shame, no regrets, just embracing my vulnerability. Surround myself with positive people, who care about me, and make me feel stronger, loved and valued! Eat healthy; I am what I eat. Exercise, starting small while adjusting to my body’s new limitations, and remembering that a little exercise can go a long way. Well, as people say, to get different results, different actions are needed. When we change our mindset, we change our actions; when changing actions, we change our habits, and with new, positive habits, we build a better life.